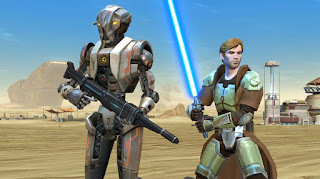 Star Wars: The Old Republic is BioWare’s ambitious story-based MMORPG that is now free-to-play. Players can get into an amazing universe as a Jedi, a Sith or a Bounty Hunter, among eight roles that fans of the saga know and love. Boasting cinematic dialogue with full voiceover for every character – a first for an MMORPG –, SWTOR is an amazing game that can now be played for free, while a subscriber option will get you some additional perks.